When you’re young, it’s easy to fall into the trap of thinking there’s no rush to save for retirement. But before you know it, you may find yourself in your 50s or 60s, and nowhere near your retirement savings goal. Even those who started saving early on may have concerns about saving enough for their retirement years. If you’re in your 50s or 60s and feel behind on your savings, there are things you can do to boost your nest egg. The first step is to use an online calculator, such as FINRA’s Retirement Calculator, to figure how much you should be saving, based on factors like your current age, income and retirement age goal. 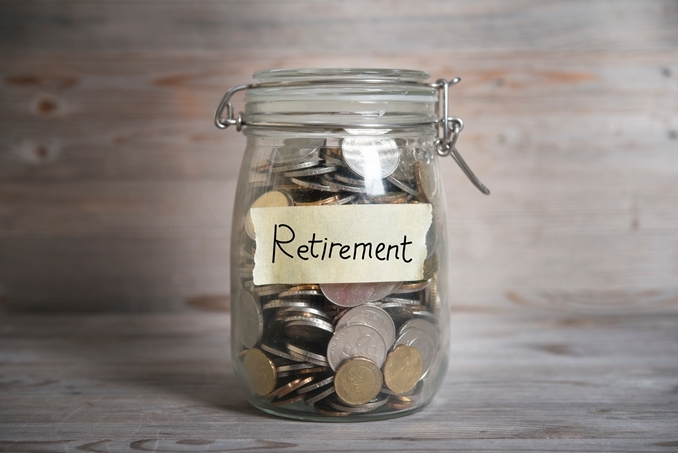 One great way to catch up is to contribute more to tax-advantaged plans, including individual retirement accounts (IRA) and workplace plans like a 401(k). If you’re 50 or older, you are eligible to contribute beyond the maximum annual contribution limit. Contributing that extra cash is easier said than done, but it’s important to remember that if you contribute $6,000 to a tax-advantaged account like a traditional 401(k), your annual income will be reduced by less than $6,000 due to the tax savings (just how much depends on your tax bracket and financial situation). Another way to boost your retirement savings is to cut down on what you’re spending now. Start by taking a hard look at your current budget. If you’re able to cut out some spending then you can, with discipline, put that money into a retirement savings account instead. Fortunately, some expenses can decrease during retirement, such as commuting costs associated with driving to the office. 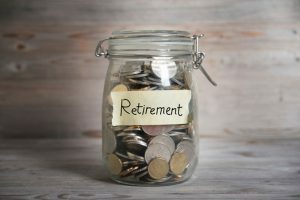 If these changes aren’t substantial enough to affect your retirement savings, you may have to consider other significant cuts during retirement. For example, you might consider moving to a less expensive home, getting rid of a car or moving to an area that is more walkable. There are some obvious advantages to working longer, such as having more time—and additional income—to save for your retirement. Another benefit is that the longer you put off receiving Social Security benefits after your full retirement age, the bigger payment you’ll receive once you do retire. That increase is two-thirds of one percent for each month that you delay receiving the benefits, or 8 percent annually, until you reach age 70. If you choose not to remain in your standard job longer, you can consider taking on additional “jobs” through the gig economy (e.g., driving for a rideshare company or other freelance work) now or during your retirement to help push back the date when you start receiving Social Security benefits. If you receive a raise, inheritance, bonus or tax refund, resist the urge to splurge. Instead, allocate that extra cash to your retirement, preferably into an account with tax advantages. Don’t miss out on any opportunity to put your money to work for you, to help build a secure financial future. Investing is never free. There are a number of fees that may apply to different types of accounts, and those investment fees can have a surprisingly large impact on your returns. It’s a good idea to conduct periodic check-ups on your financial accounts to ensure your money isn’t slowly being eaten away by high fees. Consider a hypothetical 50-year old that starts with $250,000 in a retirement account, and adds $20,000 to the account annually. If the account earns a 7 percent average annual return and pays 1 percent in fees, over the next 15 years, about $128,000 of that portfolio’s value will go to fees. Meanwhile, if that hypothetical 50-year old had the same retirement account, but paid 0.5 percent in fees, over 15 years only about $66,000 would go to fees—leaving her with an extra $62,000 in retirement savings. To learn more about saving and investing, and keeping your finances in order, visit the Investors section of FINRA. Written with help from the Financial Industry Regulatory Authority, Inc. View full article here.